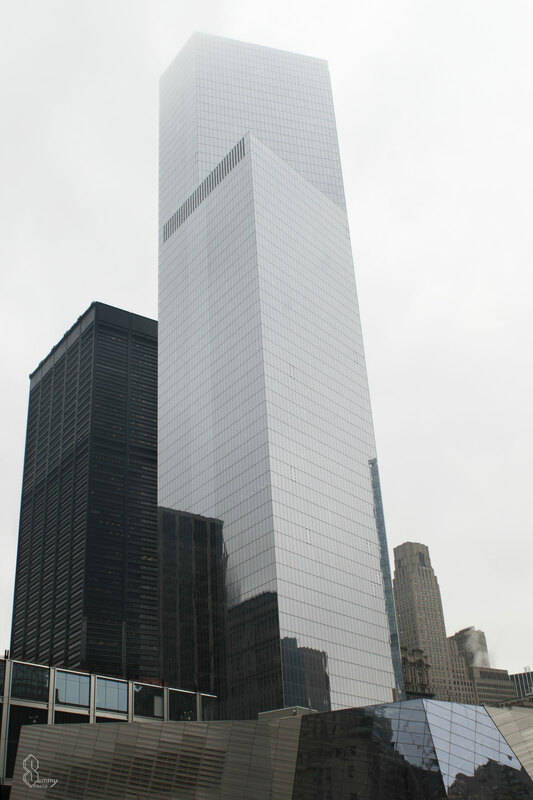 This is the new World Trade Center in Manhattan, New York. Some days it get’s so foggy that you can only see the lower half of skyscrapers, creating an interesting effect. 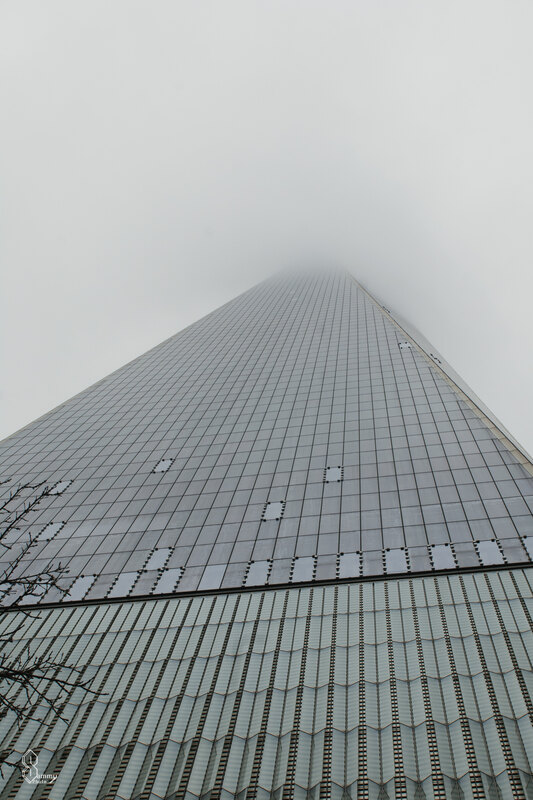 Like a sudden stop, this building was blanketed with low hanging clouds. 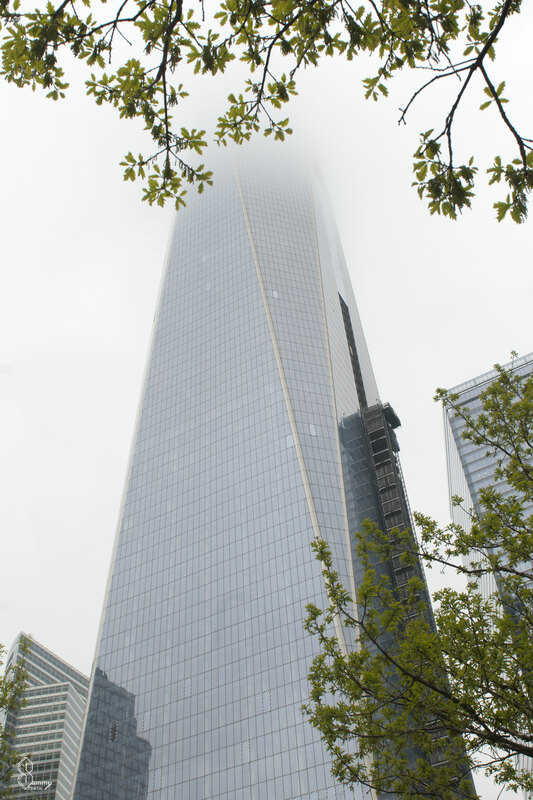 A more upclose view of the World Trade Center and it’s awesome facade. 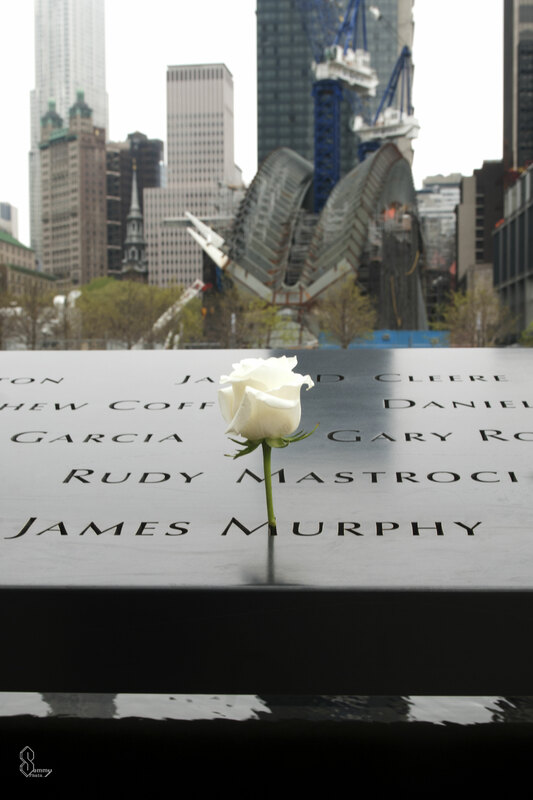 The 9/11 memorial is a place for solace and remembrance. In the background is a new sub station under construction, with a very interesting design.